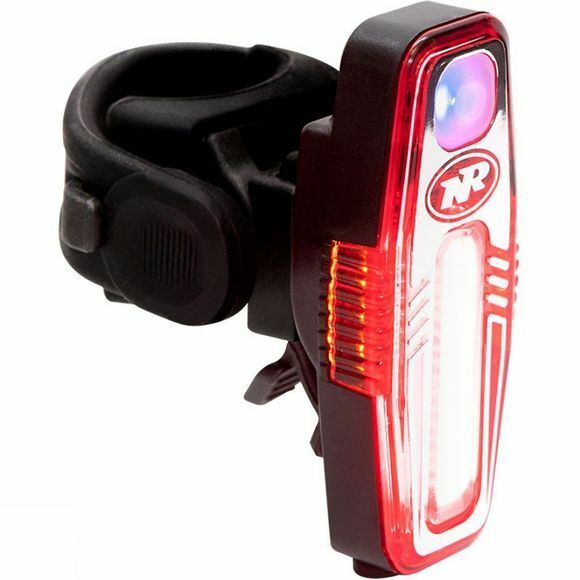 The NiteRider® Sabre™ 80 is a super bright, lightweight USB rechargeable LED tail light. It utilizes a multi LED array designed for eye catching visibility in both day and night. With the addition of amber colored side lights, the Sabre™ 80 provides 180 degrees of protection.